Thupsung Dhargye Ling is a temple and learning institute for the study of Tibetan Buddhism by laypeople and monks, located in the Himalayan village of Dirang, India. 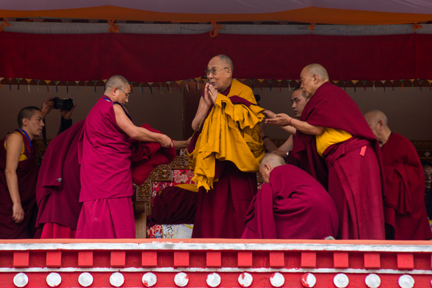 The name, Thupsung Dhargye Ling was given by His Holiness, the Dalai Lama and means: "Place of Flourishing of the Buddha's Speech". 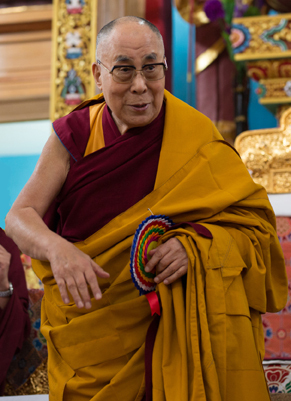 His Holiness the Dalai Lama consecrated the temple on April 5, 2017. To see more about the opening ceremonies go here. Dirang is located in the state of Arunachal Pradesh, India on the southern face of the Himalayas. This area was historically a region of Tibet, but became a territory of India in 1959. 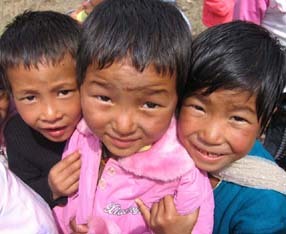 Since then, many Tibetan refugees have relocated in the vicinity of Dirang. 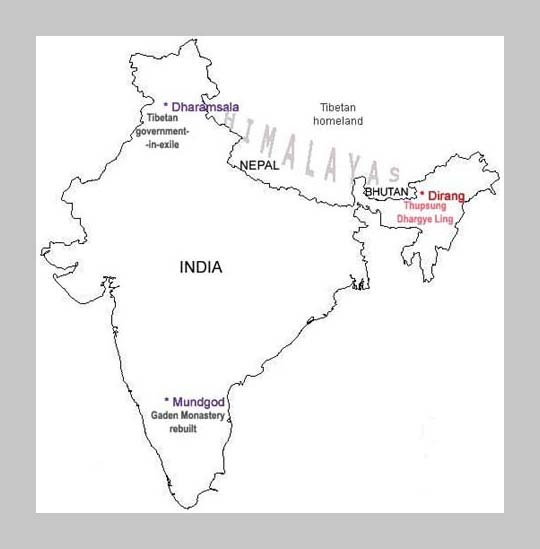 Local Indian schools teach in Hindi and English, not in Tibetan.